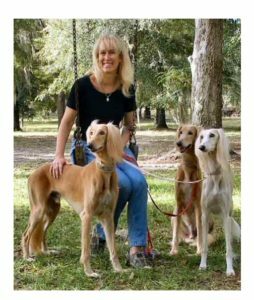 The following article is taken from the AKC/CHF website and put here for your convenience. You may follow the link below to read it on the AKC/CHF website. Pancreatitis in dogs is one of those conditions that owners must be informed about before it strikes because the warning signs may not always be obvious at first, the symptoms might be mistaken for something less serious, and yet it’s potentially life-threatening. The medical definition of pancreatitis is simple: “inflammation of the pancreas.” But like all serious conditions, there is more to it than that. Because it is dangerous, a suspected case of pancreatitis needs to be addressed by a veterinarian as quickly as possible and not dealt with by “DIY” treatments. As with all medical issues, even the best online resource is not a replacement for the medical guidance from your vet. The pancreas is responsible for releasing enzymes that aid in digestion. When the organ is working normally, the enzymes become active only when they reach the small intestine. In a dog with pancreatitis, however, the enzymes activate when they’re released, inflaming and causing damage to the pancreas and its surrounding tissue and other organs. 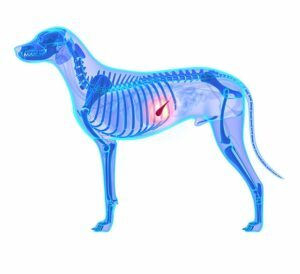 According to the Whole Dog Journal, the enzymes can actually begin to digest the pancreas itself, which causes extreme pain to your dog. If your dog exhibits one of these signs, and only infrequently, monitor her. But if she exhibits multiple signs at once, and repeatedly, a call to the veterinarian quickly is vital. * These include cholinesterase inhibitors, calcium, potassium bromide, phenobarbital, l-asparaginase, estrogen, salicylates, azathioprine, thiazide diuretics, and vinca alkaloids. More about those fats: Human food is especially dangerous, though even high-fat dog food may cause pancreatitis. So owner vigilance is particularly required around holidays and other festive occasions—they can bring well-meaning guests who slip your buddy a fatty piece of lamb, or a tray of buttery cookies left within reach of an eager muzzle. In fact, the day after Thanksgiving is known for more than just Black Friday bargains. It’s one of the busiest days of the year pancreatitis-related emergency vet visits. Basically, if your dog is showing any signs of abdominal pain, the worst thing to do is feed him a fatty diet. This is one of many reasons that giving your dog table scraps, as tempting as it may be, is not advisable. How does a vet diagnose pancreatitis in dogs? As the Merck Veterinary Manual notes, as with any disease, no test should be used in isolation for diagnosis, and all clinical findings should be used in conjunction to arrive at the most appropriate diagnosis. What’s the difference between acute and chronic pancreatitis? An acute attack of pancreatitis means it comes on suddenly, with no previous appearance of the condition before. It can become life threatening to other organs if the inflammation spreads. A chronic condition is one that has developed over time, slowly, and often without symptoms. This condition can result from repeated bouts of acute pancreatitis. Both acute and chronic forms can be either severe or mild, and both result in pain. * Vigilant monitoring of fat intake—No table scraps allowed! * Use of a prescription diet of gastrointestinal-supportive low-fat, or ultra-low fat, food. Can supplements be used to prevent or manage pancreatitis in dogs? It is important to reiterate that pancreatitis is a serious condition, so home remedies shouldn’t be used in place of veterinary intervention. That said, some vets believe digestive enzyme supplements with pancreatin can help some (not all) dogs by reducing the work of the pancreas and inhibiting pancreatic secretion. These come in over-the-counter strength as well as prescription strength. Fish oil may seem counterintuitive at first, because of its high fat content, but it can actually help lower blood lipid levels. Studies suggest a high level of fish oil (about 1,000 mg. per 10 pounds of body weight for dog with high lipid levels; about half that amount for dogs with normal levels) is helpful to dogs with acute pancreatitis. When supplementing with fish oil, also supplement with 5 to 10 IU of vitamin E.
There have been human studies suggesting that vitamin E (with selenium), vitamin C, beta-carotene, and methionine may help prevent pancreatitis. Conversely, another human study reveals that probiotics can make acute pancreatitis worse. Always speak with your veterinarian before offering any supplements to your pet. Beanie, unlike most Salukis, loves to eat. But one day, after eating his very favorite treat—a flaky biscuit—he vomited it up. He was standing with his back kind of hunched. I gently pressed on his abdomen, and he yelped. Out came the thermometer, which told me his temperature was 103 degrees. While I was calling the veterinarian, he vomited again, then lay down in a corner. We were in the car within minutes. The veterinarian palpated his abdomen, which was definitely tender; took his temperature, which was still high; and drew blood. Beanie received pain medication, antibiotics, and intravenous fluids to combat fluid loss and came home with strict instructions not to eat that day. Eating anything—or even smelling food—could have caused his pancreas to secrete enzymes and slow its healing. He could lick ice cubes, and then drink a bit of water. The next day, he was allowed to eat about six tiny meals of low-fat, high-carbohydrate food. This meant rice, potatoes, or pasta. Overcooking these starchy foods makes them easier to digest. We would boil one cup of white rice (not instant rice) in four cups of water for 30 minutes to make a rice porridge called congee. We gradually added in protein sources, such as skinless chicken breast, low-fat cottage cheese, or boiled hamburger meat. When feeding a dog with pancreatitis, it’s important to cook all the food even if you normally feed a raw diet. Because the dog’s gut is compromised, it’s necessary to remove fat and destroy bacteria. After a week, Beanie progressed to a veterinary prescription diet for dogs with pancreatitis. He hated it. Many dogs with a history of acute pancreatitis must be on a special diet for the rest of their lives. If they don’t like the pancreatitis diet, a low-fat weight loss diet often works just as well. Since obese dogs are more prone to pancreatitis, they need to lose weight anyway. Even if a high-fat meal didn’t cause the initial bout, it can trigger a recurrence once the dog has had pancreatitis. After a month, Beanie was able to gradually transition back to his old diet, minus the high-fat treats. Eventually, he even got his breakfast biscuits—but no more butter. He never had another bout of pancreatitis. As the Canine Journal puts it, “pancreatitis is like that relative that just won’t leave: Even when they’re gone, the thought of their return hovers in the back of your mind.” Unfortunately, once a dog has had a bout of pancreatitis, the chance of recurrence is high. You best defense against a repeat appearance of this unwelcome intruder is a two-pronged approach: Be on the look-out for the warning signs and control the things you can. let your dog become obese (exercise is good for both of you), follow your vet’s feeding instructions strictly, and, when relevant, administer your dog’s medication faithfully. Mild cases of pancreatitis usually have a good prognosis. Severe cases have a more guarded prognosis, due to the potential for systemic complications. But as a vigilant, responsible, and most of all, knowledgeable dog owner, you now know what you can do to reduce the risk of pancreatitis, how to recognize it if it does strike, and how to manage it going forward.